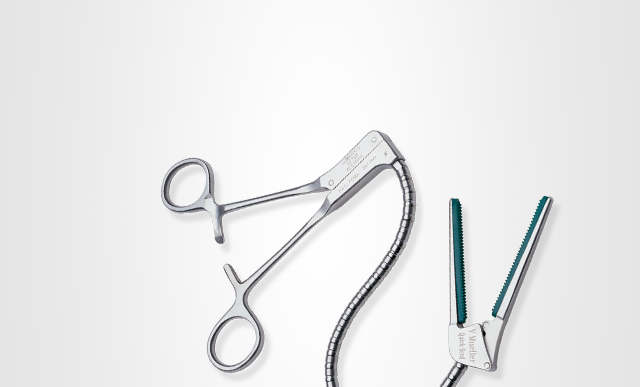 Clamp insert sets are available in 33, 61 and 86 mm sizes for a wide range of procedures. Not made with natural rubber latex. 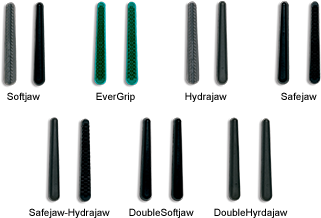 For the balance of atraumaticity and traction, Fogarty clamp inserts give you the maximum flexibility – allowing you to choose the ideal type of occlusion to meet your surgical needs. *The Hydrajaw inserts may be resterilized and reused. Clamps are used to temporarily occlude veins and arteries. 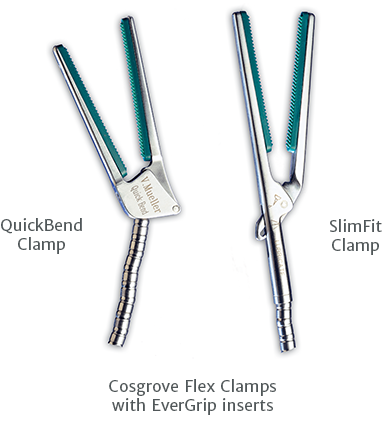 The Cosgrove Flex Clamp was developed by Cardinal Health V. Mueller in conjunction with Dr. Delos Cosgrove and the Cleveland Clinic. Provide occlusion of atherosclerotic vessels without excessive clamping forces. Minimizes intimal damage and fragmentation of atherosclerotic material. Performs efficiently on either diseased or normal vessels. Cosgrove flex clamps standard features include enough clamping force for total vessel occlusion without excessive pressure. 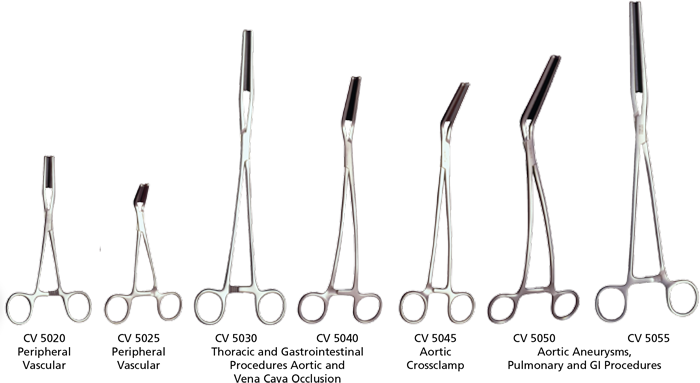 Wide selection of spring clips and handleless clamps for the occlusion of delicate vascular structures and for other clamping procedures. Not made with natural rubber latex. Caution: Federal (United States) law restricts this device to sale by or on the order of a physician. See Instructions For Use (IFU) / Directions For Use (DFU) for full prescribing information, including indications, contraindications, warnings, precautions and adverse events.